We met in Vienna, when he attended a sustainability conference. 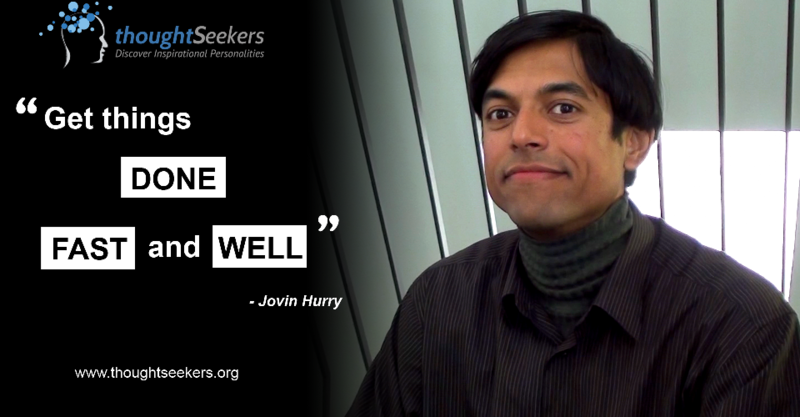 My name is Jovin Hurry and I am originally from Mauritius. I am based in Singapore. I am currently living in Sweden. I have done plenty of exciting things in my life. For example, last summer I spent three months in London, helping organize the Olympic Games and the Para Olympic Games, as an assistant to the head of delegation. I’ve been in Brussels with the European Commission, I’ve been with AIESEC and with plenty other organizations in the areas of leadership in sustainability. I did my masters in Sweden in sustainability, entrepreneurship and innovation. What were the most meaningful moments of your life? The conversations I had with my teachers; what you see in front of you is the product of the hands and the hearts of my teachers. These conversations have allowed me broader horizons in my perspectives on the world. Only when I started travelling I realized how big the world is and how beautiful it is. It was the result if these many conversations which got me to think and act differently, that I started travelling. Now I look back and I say to myself “WOW”! It’s been amazing and I am very thankful to my teachers in Mauritius, in Singapore and Sweden for that. What did impress you the most during your travels? The one thing that’s particularly touching, is people’s hospitality. I am constantly amazed by the hospitality they offer to strangers. I’ve been couchsurfing a lot as well and hosting in my turn as well. I could see that inherently we, people, are very good and that life’s secret is maybe knowing how to tap on the goodness of the people. How did you come to the idea of the project you are pursuing right now? For the past 15 years I’ve been in Africa, Asia and Europe. I’ve noticed a number of entrepreneurs in the field of sustainability. They want to deal with complex problems. Unfortunately often they are not prepared for that. The biggest pain that I have noticed is in general a lack of preparation. Sometimes, they want to do things so strongly, that they just go ahead and do them without preparing themselves for it. This is what I am tackling. Helping them prepare for it; an issue I encountered is also the presentation skills and especially the negotiation skills. The solution is to bring them to a place where they can prepare themselves in real life simulations. Imagine a sauna, you get them in there, they are going to sweat and cry. But they would better do all this away from their clients. We prepare them for this and we ask them tough questions to check whether they are ready for the challenges they want to address with their businesses. To see social entrepreneur’s willingness to pursue working on their projects, to support them maintaining it and seeing that they succeed. To help them avoiding making silly mistakes that they could easily avoid; enable them to learn from others. My biggest success until now was to be part of the Olympic Games, I waited 8 years for it. One of my other successes was to travel so much during the past 14-15 years, I’ve learned so much. I did not image I would be able to do that especially given that I come from a village in a far-away paradise, but isolated island in the Indian Ocean. I used to run half naked there, freely playing football on the beach with other children. It’s amazing when I look back over a decade and a half. How do you know that what you are doing is the right thing to do? A great speaker in a conference I participated in, replied to this question that “we don’t know, we just see along; we make it up and we make it happen”. This is what I do too, I try; sometimes I fail. If this did not work, fine! I go on and try something new. What is your own recipe for success? If I had one I would give it to you. I think it’s along the lines of experimentation, design, discovery. Being able to live in ambiguity and still say: “it’s okay, I will get there”. If you are to die today, what would you like to leave behind? To have made a child laugh, to have made my friends smile and to have the satisfaction that some people are a little better off than the world thought they could be. 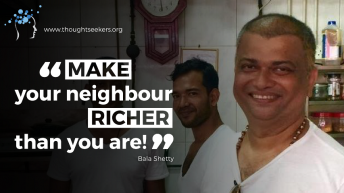 What would you personally improve in the world so it is a better place for all of us? I am willing to help entrepreneurs get their ideas clear. What motivates you personally to go forward? My conviction. It’s my conviction that whatever we need to do, we need to do that fast and we need to do that well. We need to get things done. We need to know how to get things done. We need to be prepared to get things done. What is your message for the viewers? Be present in the time that you are. Because all you can live is the now.